Whether it is for work or leisure, visiting a foreign country often literally calls for taking the road less travelled. Many tourist destinations have adequate public transport and apps such as Uber and Lyft, have made getting from A to B that much easier abroad. Sometimes, travellers want a greater sense of freedom and will turn to rental cars to explore foreign cities. Nothing ruins a business trip or a leisurely holiday like an unpleasant run-in with the law. Before hopping behind the wheel in a new land it’s important to familiarise yourself with road rules and traffic laws of the country you’re visiting. Essentially, an international driving permit (IDP) allows you to drive (provided you have an SA driver's licence) in the foreign country you have applied for. It does not, however, allow you to drive anywhere in the world. You still need your South African licence and will have to present both items if you are pulled over by authorities in a foreign country. Most, but not all, rental companies will ask for your IDP. Advocate Jackie Nagtegaal, Law For All’s Managing Director, said: "A local driver’s licence might not be valid in all foreign territories even with an IDP. "For example, your visa status could be a factor: Some countries might allow you to drive for up to 30 days, after which you will have to apply for a local licence." This should be a crucial part of your planning but just in case it’s slipped your mind, add it to your to-do list before leaving SA; Not only do you have to be aware of basic traffic laws there are perhaps customs specific to the area you’re travelling to. This goes above and beyond which side of the road to drive on and how road signs might differ; it also encompasses obtaining special rental insurance and conducting research on what you might need to have with you in the vehicle; spare tyre, traffic cone or even an extra pair of prescription spectacles. Whether you’ve violated a traffic law or stopped as part of a routine roadblock, being pulled over in a foreign country can be particularly stressful. Nagtegaal: "It’s always a good idea to stay in your vehicle, much like you would in South Africa. Some countries do allow motorists to exit their vehicles and approach the officers, but this is very uncommon." When an officer approaches your car, open the window, keep your hands on the steering wheel and await instruction. • Your valid South African driver’s licence. • International Driving Permit (IDP) is required in that country. • Proof of car insurance. • Any relevant documents from the car rental company. Remember, it is usually within your right to ask the traffic/police officer for his or her credentials. What’s more, it is recommended to have some tool (a book or an app) that can help with translation, as there may be a language barrier. 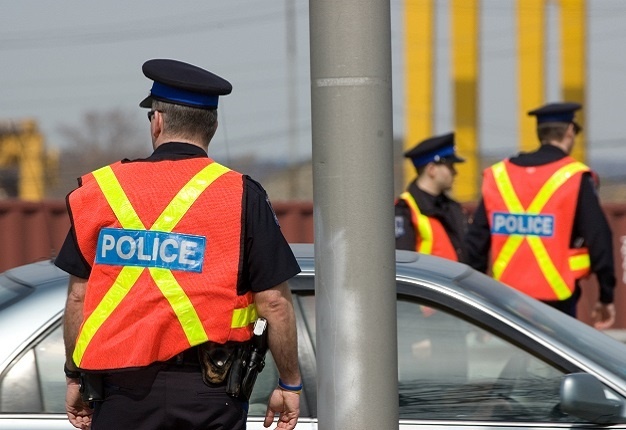 It is best to handle traffic violations as quickly and efficiently as possible. Even if you’ve been fined for something "negligible", deal with it immediately. Some countries offer the option to "pay on the spot", meaning you can take care of it (ie paying a fine) with the officer. You can’t ignore or hide from the ticket; you could be stopped in the customs queue at the airport when trying to depart the country. Nagtegaal said: "Depending on the country’s laws, even traffic fines can be regarded as a criminal matter, and you could find yourself dealing with a foreign criminal justice system."